Which Rifle for Daughter's Birthday Present? Howa Mini in 6.5 Grendel is what we're doing. Wolf steel case is .23+- for plinking. Goes 4moa or less and is surprisingly clean. Rifle is about $360 on sale at Whittaker's. I built my wife a very light AR for the same purpose, but it is twice the price and not superior for hunting.  Good to see someone make the effort for excellence. You have put forth the effort to learn hands on as well as researched the many perspectives and skill minded training opportunities that are out there. Learning good pistol shooting discipline is beneficial across the board. Nothing helps you understand the value of sight picture and trigger control more than pistol. Obviously you've done enough to understand the must have of practicing good habits/form.
" I've tried to show her a technique for getting centered up in the scope to further address parallax issues, whereby you pull your head back slightly until you see a hint of scope shadow around the edge of the tube. Then you can use the scope shadow to make sure you center eye in scope. She seems to understand this." Excellent start for getting the most out of your optics. But I do suggest pulling back to "more than just a hint of shadow". A moderate shadow will speed up the process of centering your eye and making a reasonably faster shot. After doing that for awhile "on the same rifle set up" your instincts take over and you tend to fall in to center more naturally. Those are basic or foundation practices that will help her perfect her natural abilities. Once she appears to have the basics well established then you should encourage much more variety in shooting positions. She'll have some favorites and some she don't like so much but being able to adapt is vital for all of us who enjoy shooting sports. All the while keeping ethical shots high on the list. Something else that may help you. If on occasion you seem to hit a wall in teaching her a specific shooting position or discipline and she just don't get it. Try having a buddy who knows the discipline well help her with it. Sometimes we get in our own way with our kids or wife and don't realize it. And if that doesn't help it is possible you are moving too fast. I'm not offering any suggestions on brand or platform so much as you are doing your homework and in an area you will have to learn what fits your goals best. We can suggest everything under the sun but until you use it to put rounds down range you won't know for sure. From what I've seen so far I think she has a pretty good instructor. At this age keep it fun for her. Let her push herself and encourage her to finish what she starts. 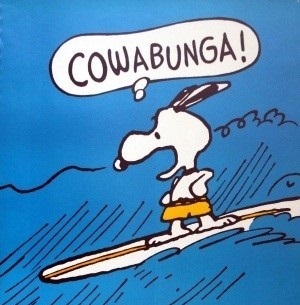 But not to the point of being discouraged and walking away. Right now she is motivated by pride. That is a two edged sword. If it is too easy she will get bored, too hard she will get discouraged. You know her personality. Always pay attention to what inspires her "TODAY". She is *female* and about to be a teen. Do what you can while you can and be thankful as much as you can. My daughters all got "too cool" to shoot with me at some point in their teenage years. Generally around 14-16. They like to "remember when", but only the oldest shoots very regularly now. I would do an AR15 in 223 for her since she is already familiar with the platform. 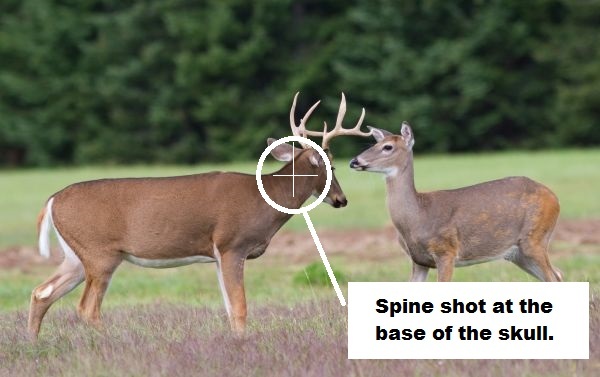 Just buy or order some heavier bullet weight ammo for deer. I load 60 grain partitions but think I might want to step it up a little. My 9 year old shot my little Ruger M77 compact stainless 7-08 at a deer last year and wasn't happy with the recoil. He doesn't mind the AR. I just think its hard to beat the 223 for economy. You could always get an extra upper in 6.5 grendel or 6.8 SPC for deer hunting and swap out. I have been toying with the idea of rebarrelling the one I have to a larger caliber, perhaps even 458 socom. The Ruger American now comes in 300 BLK runs AR mags, 7.62x39 runs ruger mini 30 mags both of which are solid choices for low recoil mid range rifles but with enough smack down to take deer and hogs. While other popular calibers like .243 and 7mm08 are also worth considering I really like the idea that one can run 20+ round mags in these new Rugers and not have them hold the appearance of an AR. As far as adjustable stock and cheek pieces the AR platform has a lot of options, a review of the differnt stocks available and the cheek pieces that can be added is worth a look. Yes sir, That is probably coming here too. But that is the hard part of being "Dad". Especially with girls. But we get to be there when ever they need us. Just wish I had understood it sooner than I did. But with his daughter being in organized shooting she may be in it a few more yrs. The longer you can keep it "fun" for her the longer you get to participate. 60 grain is a good wt. for deer but don't under estimate a 55hp. Regardless of bullet wt. shot placement is everything. And shot placement requires a steady rest and good trigger discipline. These are things that must me practiced, and prepared for in you deer stand. The guys that hunt the property I manage and want to use an AR have to gain my confidence in their shooting skills and ethics. They consistently take deer with their AR's and to my knowledge only one has not been recovered. That is better than most can say with big cals. All that being said, if your rifle is accurate with the heavier bullets it makes perfect sense to use them. You want to get more lungs than heart for better blood trail and quicker bleed out. If you stop the heart with a center shot you stop the pump and no blood trail and no bleed out. So, I've got a little update to our progress toward choosing her birthday present. We hit the range with a lightweight "Recce" style BCM AR topped with a SWFA 1-4 classic in a SSALT mount, a 922r conversion of a Russian Saiga AK platform rifle chambered in 7.62x39, and a 24" Savage FCP-SR 6.5 creedmoor. Long story short: she can handle them all very well, but, unsurprisingly, finds the AR to be the most pleasant/fun to shoot as far as volume is concerned. She has decided she would like to stick with .223/5.56 for her rifle, but we are still deciding between an AR upper or a bolt gun. Her order of preference was AR>Savage>AK, with the optics (or lack thereof) being explicitly cited as a factor. We shot strictly from the prone position for this cartridge/platform recoil evaluation, at a distance of 172 yards. Her prone position form controlled the recoil of all the guns surprisingly well. There was very little rifle movement across the board. It looked as if a much larger person was behind the gun(s). First we warmed up on the AR, focusing specifically on good position for recoil management. Then we moved to the AK platform with open sights. Finally, we finished up with the Savage in 6.5. It's a 9 lb gun with a SWFA SS fixed 10x, Harris swivel bipod, and bolt-on kydex cheek riser; a poor-man's long range precision trainer. The gun probably weighs close to 12 lbs in that configuration. We were limited on the ammunition we had with us; just a handful of Hornady 140 ELD-M and 147 ELDM. I would shoot one round and have her watch, then have her fire a round while I watched her. We switched back and forth like that a bit to avoid fatigue and keep things slow. 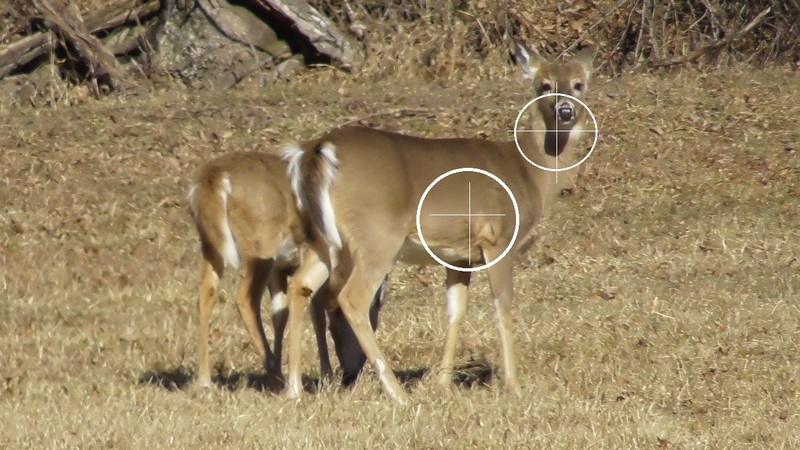 Between the both of us, the group size never opened up past approximately 1.25" @ 172 yards. Our best 'shared group' was just over 5/8" with the 147 ELD-M. I was very pleasantly surprised, to say the least! This Savage could certainly fill the role of deer hunting rifle in certain scenarios. I think it just goes to show-- if you treat people like they are capable of a performing at a high level, they will often step up and do so. Or at least make a good, honest attempt. I think this is true of most things in life. Either way, it's great fun while it lasts. There's hardly anything I can think of that I'd rather do than go shooting with my daughter! Now that we have caliber locked in for .223/5.56, it comes down to rifle choice. I've pretty much know which way we would go for an AR upper, so that leaves me with having to research bolt guns. We've been able to handle a Ruger American Ranch, Ruger American Compact, Full size Tikka T3x lite, Ruger American Predator. Not surprisingly, she felt most comfortable with the length of pull on the Ruger American Compact from offhand positions. This gun has the ruger rotary magazine and a really thin barrel. I've seen where some people online were reporting very pronounced load sensitivity with this gun. And according to Ruger's website it's a 1:10 twist. I'll make a short list of guns that I've been thinking about so far. I'd like to know what other options we should consider. The Ruger American I had was touchy about how you held the stock. I would expect to upgrade the stock. CZ's have been a challenge for scope mounting and learning a safety that is backwards to all others. These are not deal-breakers if you know what is up before the purchase. CZ has been moving toward normal safeties. As for handling, the shorter actions like Remington's Model Seven, CZ 527 or the Howa Mini handle better to me. The longer actions with bolt stops like Tikka cycle more smoothly due to having more support for the bolt at the back of the cycle. 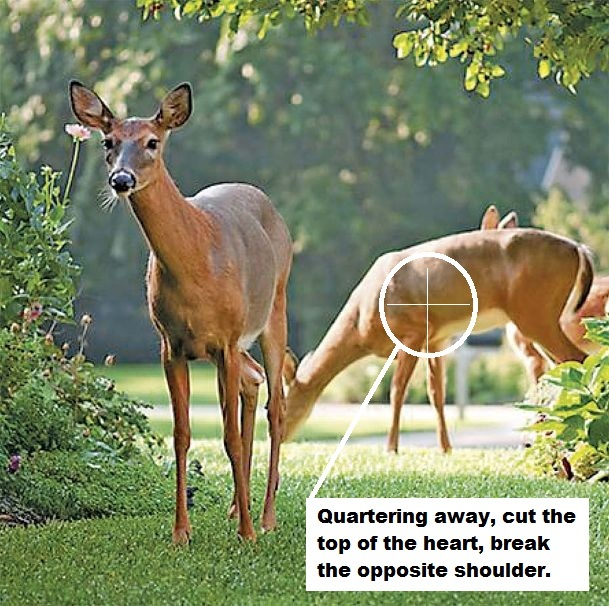 Handling comes in on moving deer. Smooth cycling is a pleasure otherwise. You can get the Howa barreled actions from Brownells, it includes the bottom metal and magazine. All you need is a stock, you don't have a lot of choices, either Boyds or a chassis. We went with the Brownells chassis made by MDT for two reasons, first, it handled like an AR15 which both my kids are comfortable with. The other reason was LOP. The chassis allows the use of any AR15 stock and is readily adjustable to grow with the kids. I've looked at some in the stores. Many of the plastic forends are actually slightly warped and contacting the barrel way up front, even without any pressure being applied. Otherwise the barrels are free floating. There are plenty of examples online of people relieving material from the forend and having a remarkable increase in performance. Strange that something so simple would be overlooked by the factory! I wonder, do you think this could have played a part in the symptoms your rifle was exhibiting? In my view the CZ527 is the way to go. Love mine and it shoots Federal 62gr soft points well which would probably be something like the best choice for hunting IMHO. I removed a good bit of material from the fore end of that American to be sure it didn't touch there. The stock was just too soft overall. Any torque from the bags or shooters affected it. The reason I could tell is that rifle would stack them right on top of each other when I got it lined up right. And it would open up if I changed. They're good enough guns otherwise. I intend to get one of their LH American Predators in 6.5 and bed it in a Boyd's laminate. Edit: When people on the internet talk about a rifle shooting small groups, I take it to mean they mean it will sometimes. Lots of so-so rifles will accidentally print a small three shot group now and again. I'm typing here about what it would do over many rounds fired.